The tennis racquet trend is starting to take the growing number of tennis elbows more seriously and recent models are definitely moving towards “less shock” (which is also something I talked about in this post called Gear of the Year). Wilson Blade with Countervail is one such option, where Wilson Tennis has managed to maintain the characteristics of the hugely successful Blade line and made them more comfortable and dampened. HEAD tennis has received a lot of criticism for the Graphene technology, which has turned the classic feel of Head racquets into a more modern and stiffer line. I don’t have any insight into the Head sales numbers, but I’m pretty sure the Graphene racquets haven’t been bestsellers such as their classic Prestige line or the legendary Head Pro Tour 630. Customers have complained about harshness and smallish sweet spots and that’s why Head now launch their “Touch” models, with the idea of creating a more comfortable feel. The Graphene Touch line consists of four racquets: Head Graphene Speed Pro , Head Graphene Speed MP , Head Graphene Speed S , and Head Graphene Speed Lite. 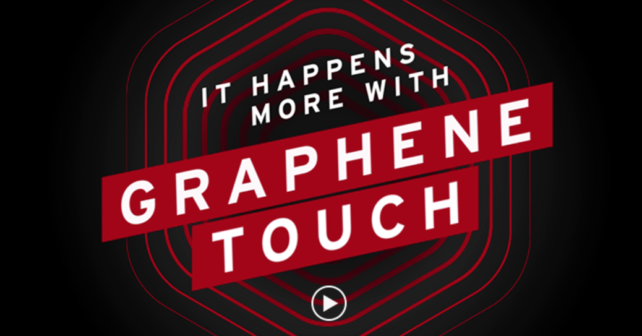 Read more about The Head Speed Graphene Touch line here. Play-testers talk about a more muted and softer response than the previous Speed line. This is very similar feedback to the Wilson Blade with Countervail line, where some players think it is the best Blade yet and some find it too muted. This is usually a personal decision – what are you looking for in a tennis racquet? Comfort or feedback? Regarding the line, they’re all pretty much 100 sq inch racquets that weigh around 315-290 grams. The pro model is slightly heavier and has the more control-oriented 18×20 string pattern while the others have 16×19. They are all 100 square inches and that is definitely becoming the new norm for tennis racquets. 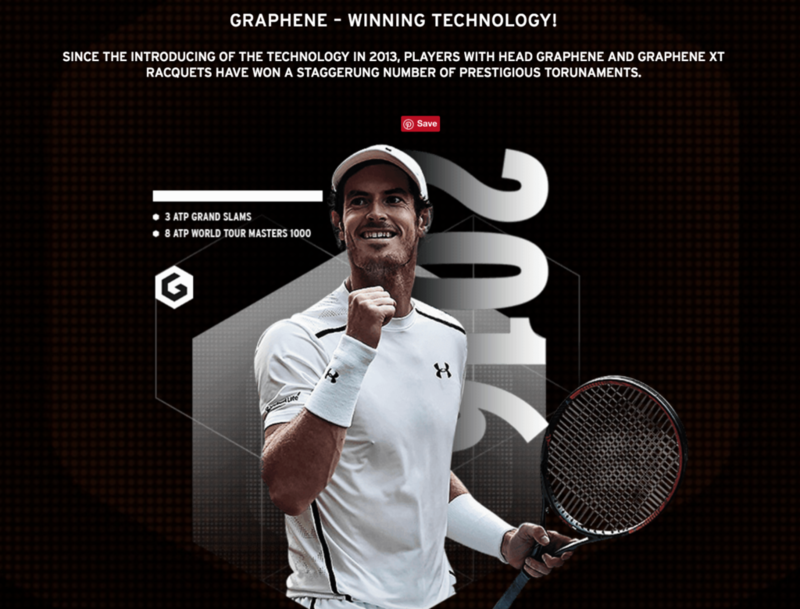 In the above ad HEAD proudly claims that Head Graphene and Head Graphene XT technology has won a “staggering number of prestigious tournaments” and below Andy Murray, they have pictures of Novak Djokovic, Marin Cilic and Tomas Berdych (TGK 260.2 pro stock). None of which actually play with Head Graphene technology. They all use Head racquets, but pro stock versions based on 10-20 years older racquets! Just click their names above to read what they really play. Head should be proud to have all these great players using Head racquets, but telling people they use the latest technology is simply wrong. That’s why I want to urge all racquet companies to release the actual racquet moulds of the top players as “Autograph versions”. Wilson did it with the Wilson Pro Staff Roger Federer Autograph and I don’t see why companies like Babolat, Head and more can follow suit. I think you can easily charge a bit more if what you sell is the actual racquet model the pro plays with. And you can sell more light-weight, easy-to-use models and call them “Novak Djokovic Signature Edition Light” or something. I’m sure there is nothing wrong with the Head Graphene Speed Touch line, but please don’t insist that it is what Djokovic is actually using.